Hume Region Palliative Care Consortium are committed to working with our staff and colleagues through professional development enabling quality palliative care service in the region. 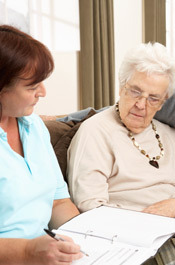 We are also able to discuss specific palliative care education requirements for your workplace. The Education and Training page outlines educational opportunities across the spectrum of palliative care qualifications and service experience with links to further information and participation. The Palliative Approach page provides information about the Aged & Disability Palliative Approach program which is based on enhancing the palliative care skills and capacity of staff working within residential aged care facilities and disability accommodation services. If you are thinking about Working in Palliative Care, information is available about the palliative care workforce in the Hume Region. The Palliative Care workforce includes Volunteers. Further information about what volunteering in palliative care involves visit the Volunteers page.